We've been chock-full of AMD news these past few weeks, so it's about time we touched-base with NVIDIA, who have been a little quiet since the GTX 980TI's Titan-shattering release. Unfortunately the NVIDIA SHIELD console isn't due on these shores until later this year - much like the handheld before it localisation issues have hampered a world-wide launch - but their developer tools arm have revealed a couple of new tech demo videos detailing some of the latest GameWorks developments. 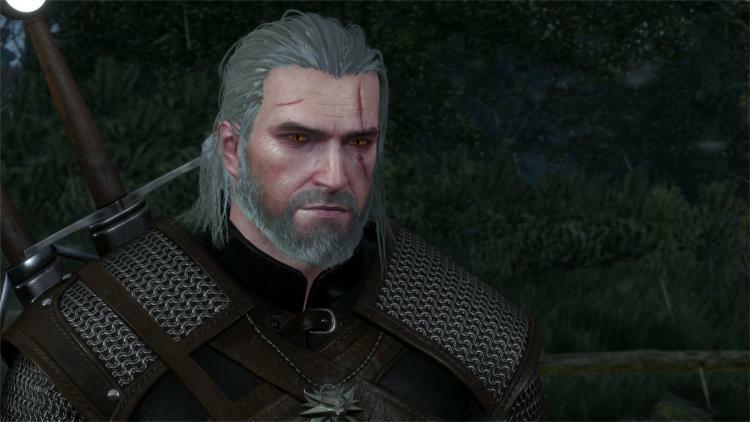 HairWorks, a part of NVIDIA's Game Works development toolkit for advanced game effects, has been increasing in popularity amongst Triple-A studios; just this spring The Witcher 3 launched with HairWorks, whilst last year's Call Of Duty installment also used the technology. That should come as no surprise - powerful off the shelf packages which can be integrated near seemlessly into the development workflow are worth countless man-hours, hours which can now be used in other aspects of the game. Earlier this month, and in somewhat uncharacteristically 'under-the-radar' fashion, NVIDIA announced HairWorks 1.1, the tools' latest incarnation. Although HairWorks for developers includes a number of sample hair designs, the powerful tools available with GameWorks also allows artists to create their own, suitable for a wide range of 3D packages. HairWorks' in-engine implementation utilises DirectX 11, making it compatible with all DirectX 11 GPUs. Extensive tesselation results in a relatively low memory footprint despite the complexity of the final rendered scene, and by capitalising on the tesselation performance of their own GPUs NVIDIA ensure that their hardware is ideally tailored to the tech. That said, AMD driver packages uniquely allow reduction of in-game tesselation level, boosting performance on their own hardware and allowing some level of user customisation not typically available though in-game menus. As a part of GameWorks, HairWorks looks set to be a major development feature as we progress into the DirectX 12 future. Unreal Engine 4 for instance already has custom branches for GameWorks tools including NVIDIA HBAO+, WaveWorks and VXGI, with more likely as the engine matures. By grounding their implementation in DirectX Hairworks will hopefully provide a more realistic game world for all users, irrespective of system hardware.